a commercial roofer for your business, our goal is to provide the best quality service at affordable rates. Our professional roofers offer comprehensive roofer services that include new roofs, replacement roofs and roof repair services to homes, businesses in Bellevue, Seattle, Tacoma, and surrounding cities. We provide new roofing construction and replacement. We repair a wide range of roofing types including; composition, wood shake, tile, metal and torchdown roofing materials. 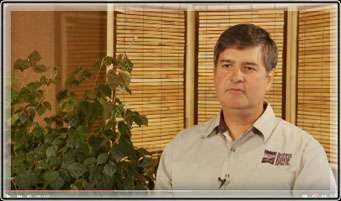 At Northwest Roof Service Inc.
Roofing problems don’t always happen during normal business hours. For this reason, we offer emergency service from professional roofers for leak repairs and other roofing emergencies. Every roofer on our team is a highly trained and experienced professional with extensive knowledge of all aspects of roofing and all types of roofing materials to provide our customers with the best service in the roofing industry. If you are looking for a industrial, commercial or residential roofing in Bellevue, Seattle or Tacoma, please browse our website to learn more about Northwest Roof Service Inc. and our roofing services. We offer free estimates for residential roofing and commercial roofing services. Please contact Northwest Roof Service Inc. today at 253-859-0903 for more information about any of our services, or to schedule a free estimate for service at your home or business. Choose Northwest Roof Service Inc. Residential composition roofing, woodshake roofing, metal roofing, torch down, blown in insulation, gutters, and repairs. We offer emergency repairs for industrial, commercial and residential roofing. Contact us now by phone or email to get a free estimate on a new roof, new gutters and roof repairs. Do you have any roofing questions? Well do not worry check out our FAQ's section for your answers. Like us, share us and check back for new quotes on our Facebook page! Follow us on Twitter now for roofing quotes and news! Review and check us out on Houzz! Northwest Roof Service Inc. provides service for all industrial, commercial and residential roofing phases. Including single ply, torch down, metal, cedar shake and composition shingle roofing. 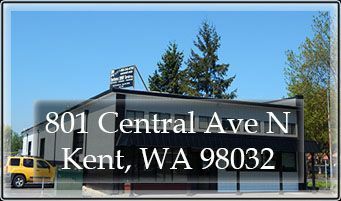 We service the following cities in Washington state, Seattle, Tacoma, Bellevue, Kent, Everett, Renton, Federal Way, Auburn, Marysville, Lakewood, Redmond, South Hill, Shoreline, Kirkland, Richland, Olympia, Sammamish, Burien, Lacey, Edmonds, Bremerton, Puyallup, Lynnwood, Parkland, Bothell, Mount Vernon, University Place, Issaquah, Des Moines, Spanaway, and SeaTac. If your city is not listed call us now to check if we service your area. Northwest Roof Service Inc. also offers emergency repair service call now! Northwest Roof Service Inc. have the experience and up to date knowledge of the industry to take care of your job in accordance with manufacturer's specifications, and building code requirements. We have been in business and at the same location for over 28 years.